If I asked you to ponder the most pucker-inducing aspect of instrument flying, what would come to mind? An icing encounter? Circumventing imbedded thunderstorms? Hand flying that approach to minimums? An instrument failure? Those are all good answers, but for me the one that takes the cake is a low-visibility circle-to-land maneuver to an unfamiliar airport at night. If you’re not an instrument-rated pilot, you might not be familiar with this. The need for circling comes from situations where the weather is poor and the runway most associated with the approach is not suitable for landing. This could be due to unfavorable winds, runway construction, insufficient runway length, or any one of a dozen different reasons. Some approaches are simply not aligned with any runway whatsoever, and in those cases circling is mandatory if you want to put the plane on the ground. In plain English, circle-to-land means low-altitude, low-speed maneuvering in a confined space. Circling out of an instrument approach procedure in relatively low IMC is not something to be taken lightly. The margin for error is slight, and that’s probably why most Part 121 airlines don’t allow their flight crews to perform circling maneuvers. Despite that fact, the FAA recently elected to change circling approaches in a way that adds significant complication for those of us who do use them. 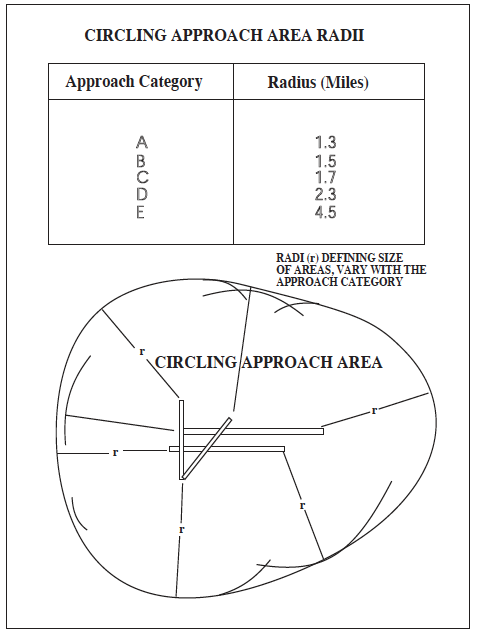 Up until now, determining how large an area was available for circling was straightforward and quite standardized. The FAA would prescribe a minimum altitude to use during the circling maneuver based on the aircraft’s speed. This makes sense, because the faster an aircraft is flying, the more airspace it needs in order to maneuver, right? Once the aircraft’s category is determined, the minimum altitude for the circling maneuver could simply be read off the approach plate. 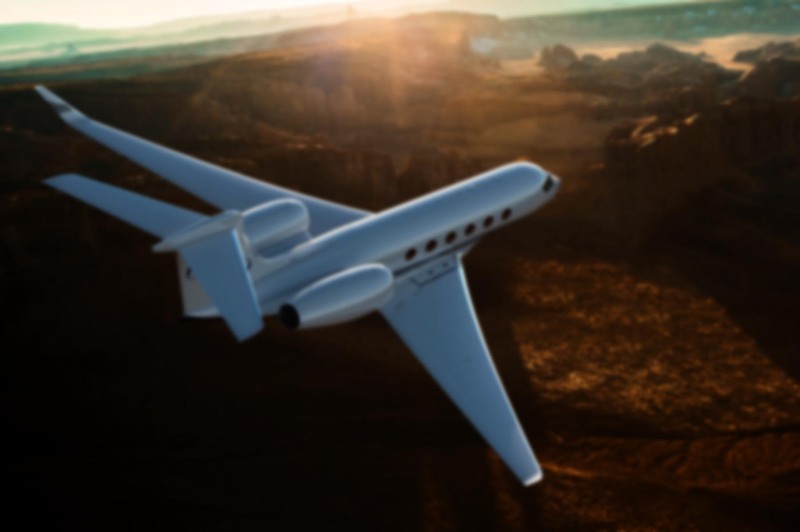 The size of the protected airspace at that altitude was determined by a standard radius from the ends of the runways. If, for example, you were flying category “B”, you were assured of obstacle and terrain clearance within a radius of 1.5 nautical miles from the ends of each runway. There were relatively few things to memorize. When the weather’s poor and you’re tired after a long bumpy flight, that’s a good thing. The “KISS” principal has proven to be a pilot’s best friend on many occasions. This is the way it used to be: simple. Each category had only one radius to remember. Industry safety groups have long expressed concerns that the radii size used to establish these arcs was insufficient to contain large, jet transport airplanes during the circle-to-land maneuver. 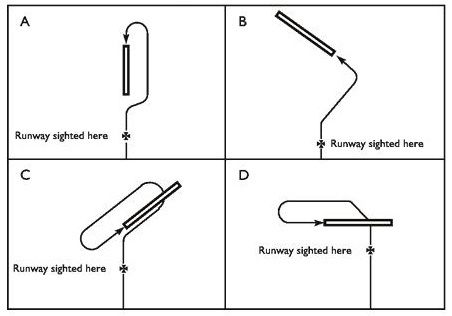 These concerns were highlighted following a Boeing 767 controlled flight into terrain accident during a circling approach designed using US TERPS criteria [Ed. I believe they’re referring to the crash of Air China Flight 129 back in April of 2002]. In addition, the size of the circling approach area did not always allow enough room for pilots to align the aircraft with the final approach and consistently achieve a stabilized approach. The result was an increased frequency of runway excursions (i.e. overruns) out of circle-to-land approaches. As result, FAA conducted an extensive review that resulted in new TERPS criteria that increases the radii dimensions defining the circling protected airspace. In addition, the radii dimensions increase in size as circling MDA increases. This increase in radii size with higher MDAs accounts for greater true airspeeds and adverse wind gradients encountered at higher mean sea level (MSL) altitudes. While these radii are smaller than those used in ICAOs PANS-OPS, they represent a significant improvement over the previous TERPS criteria. At first glance this looks like a positive development — and it is, if you fly an airliner and are approved for circling maneuvers. But most airlines aren’t, and those that are often have significant limitations on their flight crews. For example, I know of a few companies that do not allow circling at night. Others pad the circling minima. The FAA believes this makes circling safer, but I can’t help but wonder if that’s necessarily true. To be sure, the new radii are equal to or greater than that of the old system, meaning that a pilot who misses the inverse symbol on the approach plate and flies the old criteria will not find themselves outside the protected airspace. But the variety of possible radii in the new system introduces added complexity that make it far easier for an aviator to select the incorrect circling area. That can make them more likely to hit something, not less. This is especially true if a last-minute change (say, a wind shift) requires circling when it was not previously expected. In addition, the CFIT accident the FAA cites in their justification for the new circling radii happened more than 11 years ago, involved a foreign carrier, and according to the March 2005 accident report, was the fault of the flight crew, not the procedure or TERPS criteria. The report found that their approach briefing was subpar and didn’t include the missed approach. They “exercised poor CRM and lost situational awareness”, and “failed to execute the missed approach after losing sight of the runway”. Finally, as I noted above, there’s the matter of whether the very airlines these changes where designed to help will even use them. Increasing the circling radii will often have the effect of raising the Minimum Descent Altitude, and that could make the procedure less valuable. I think of circle-to-land much like a contact approach or Special VFR: a wonderful tool, but one that must be used with great care in truly poor weather if tragedy is to be avoided. Complicating the matter as this new criteria does may have consequences that the FAA never anticipated. Wow that’s an incredible amount of detail, a clear explanation I’ve never seen provided in one central location – all the images are very informative. Thanks so much for clarifying how all this works to us VFR ground-skimmers. Ron you are a wealth of information! I’m glad you found it worthwhile. I sometimes wonder whether posts of that type are useful to VFR pilots! And for those of us that ARE instrument rated, you provide clear information that even us dummies can understand. Thanks Ron! You bet! Thanks for dropping in, Mike — hope you’ve been logging some good times in the SR22!